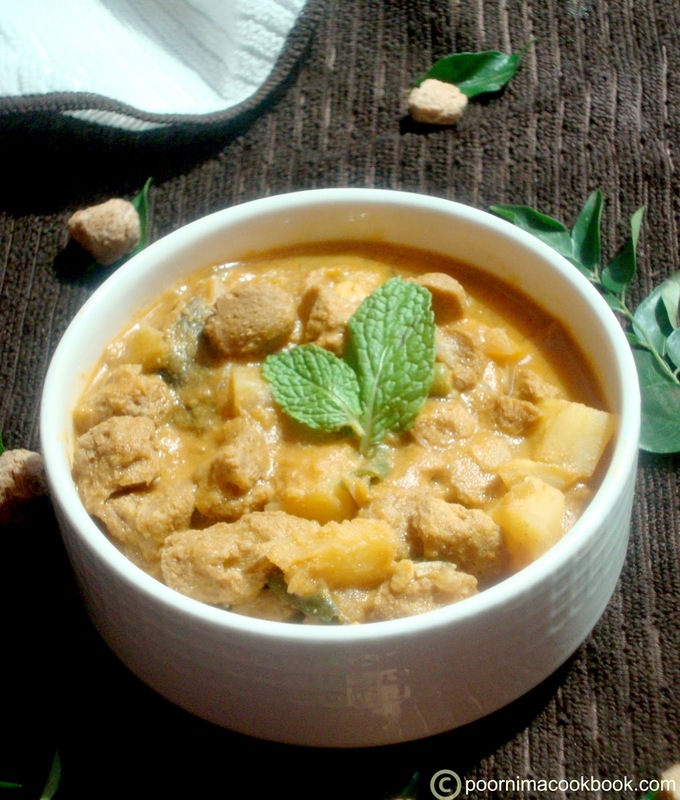 This South Indian style Soya curry is very healthy and also easy to prepare dish. A perfect accompaniment with rice and rotis. You can also try this using soya keema and check also my other Soya recipes. Soya nuggets / Meal maker - 20 to 25 no. Wash 2 to 3 times and squeeze the water completely, cut into pieces; keep aside. Grind all the ingredients into a fine paste using very little water and keep aside. Take a kadai and pour oil; once it becomes hot, add cinnamon, bay leaves and curry leaves. When it crackles, add the finely chopped onions and saute till the colour changes. Now add chopped soya nuggets, red chilli powder, coriander powder and salt. Give it a mix. Saute for a minute; add little water, if it sticks to the pan. 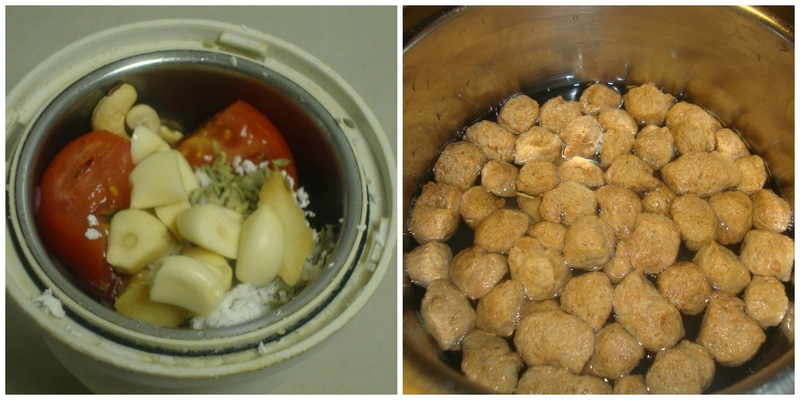 Now add the potato; mix well till the masala coats well and add the grounded paste with 1 to 1½ cup of water. Sprinkle some mint leaves and close the pan with the lid. Allow to cook till the potatoes are cooked. Let it simmer for another 10 minutes or till the oil comes out. 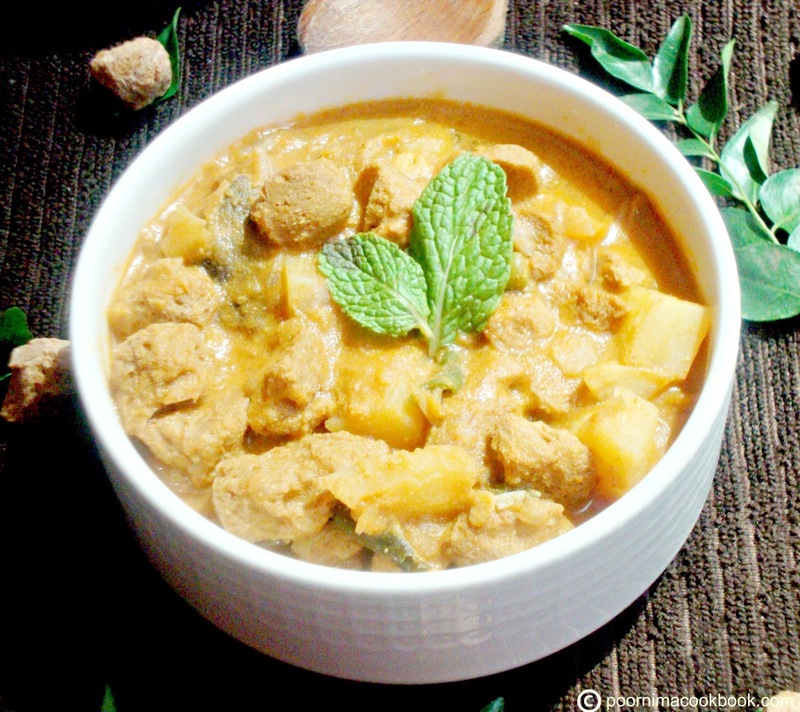 Garnish with mint leaves and serve hot with steamed rice. This will also be a best accompaniment for Parotta, Idli, Dosa, Appam, Chappati and Idiyappam (String Hoppers). Instead of mint leaves you can add coriander leaves. 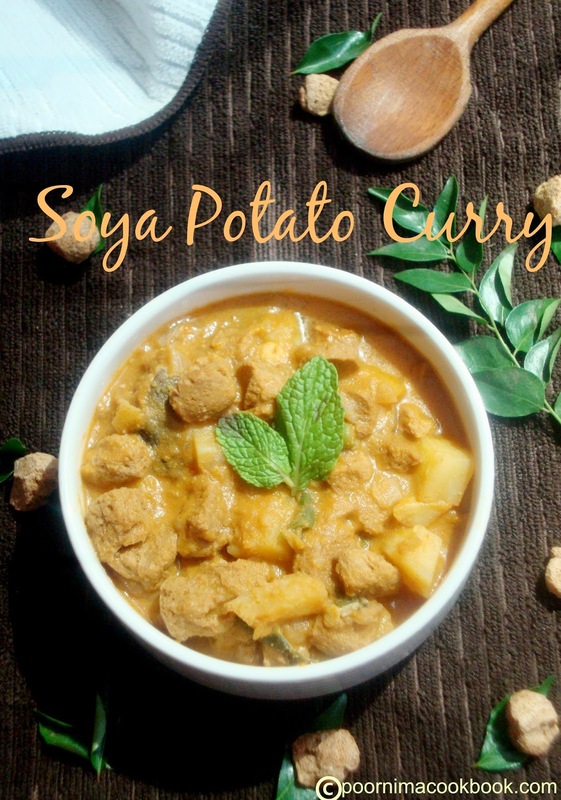 protein rich curry, can have this soya masala with rotis or with rice without any hesitation.